RINDE ECKERT is a writer, composer, librettist, musician, performer and director. His Opera / New Music Theatre productions have toured throughout America and to major theater festivals in Europe and Asia. With a virtuosic command of gesture, language and song, this total theatre artist moves beyond the boundaries of what a 'play,' a 'dance piece,' an 'opera' or 'musical' might be, in the service of grappling with complex issues. Eckert describes many of his characters as "little men with big ideas whose consequences of their hubris are often disastrous." Sometimes tragic and austere, sometimes broadly comedic, entirely grounded by presence, his work is alchemical: moving from rumination and distillation to hard-won illumination, or its lack. Rinde Eckert began his career as a writer and performer in the 1980’s, writing librettos for Paul Dresher (Pioneer, Power Failure, Slow Fire, Ravenshead). He composed dance scores for choreographers Sarah Shelton Mann and Margaret Jenkins, including the evening-length Woman, Window, Square for The Margaret Jenkins Dance Company. Writing credits for the theater include Highway Ulysses, Horizon, Orpheus X, And God Created Great Whales, which has been produced three times with the original cast and director, for a total of 227 performances. And God Created Great Whales, Horizon and Orpheus X have run off-Broadway, garnering Drama Desk Nominations and the Lucille Lortel Award. Rinder has received numerous honors and awards for his body of work. In 2012 he was named an inaugural Doris Duke Artist, was honored to receive the 2009 Alpert Award in the Arts for Theatre, a 2007 Guggenheim Fellowship, and The American Academy of Arts and Letters 2005 Marc Blitzstein Award. In 2007 Rinde Eckert was the finalist for the Pulitzer Prize in Drama. Eckert's work has been produced in New York by the Foundry Theatre, Culture Project, Theater for a New Audience and the New York Theatre Workshop. American Repertory Theatre in Cambridge, Center Stage in Baltimore, Cleveland’s Dobama Theatre Company, REDCAT in Los Angeles at the Roy& Edna Disney/CalArts Theater, and Berkeley Repertory Theater have also produced his work. Directors have included Tony Taccone, Robert Woodruff, David Schweizer, Richard ET White and Ellen McLaughlin. 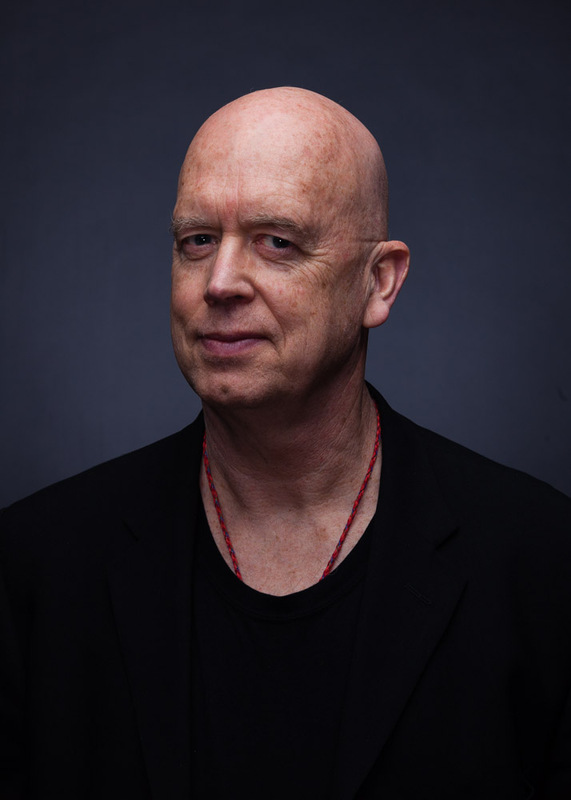 Rinde Eckert has directed for The Asia Society, Juggernaut Theater, Opera Piccola and the Paul Dresher Ensemble. In 2013 he directed a remounting of Eye Piece for Barnard College students, and directed the two operas Theotokia and The War Reporter by Jonathan Berger and Dan O’Brien for Stanford Live. Writing and directing new music projects have included I Have Stopped the Clocks for Roomful of Teeth; the critically acclaimed CD Sandhills Reunion (music by Jerry Granelli, text by Eckert); The Schick Machine, a solo-theater work for percussionist Steven Schick composed/produced by Paul Dresher; Imaginary City with So Percussion; Sound Stage for the ensemble Zeitgeist; Gurs Zyklus, a new music/performance/multi-media installation and collaboration with sound sculptor Trimpin; and Steven Mackey’s oratorio Dream House. Conducted by Gil Rose with the Boston Modern Orchestra Project, the recording received three 2010 Grammy Nominations: Best Classical Album, Best Orchestral Performance and Best Engineered Album, Classical. In 2014 Rinde performed Dream House with the New York Philharmonic. Rinde has taught graduate students from the English Department and School of Music at Princeton University since 2007. His extensive writing and directing residencies began at the University of Nebraska where he created Horizon; the University of California at Davis Department of Theater and Dance to write and direct Fate and Spinoza; in partnership with Hancher and the University of Iowa to create, write, direct and perform in Eye Piece, a play exploring the loss of vision which Rinde again directed for Barnard College students in March 2013; and at Wesleyan University’s Center for the Arts to create, write and direct theater students in The Last Days of the Old Wild Boy. Rinde Eckert lives in New York with his wife Ellen McLaughlin, the playwright and actor.